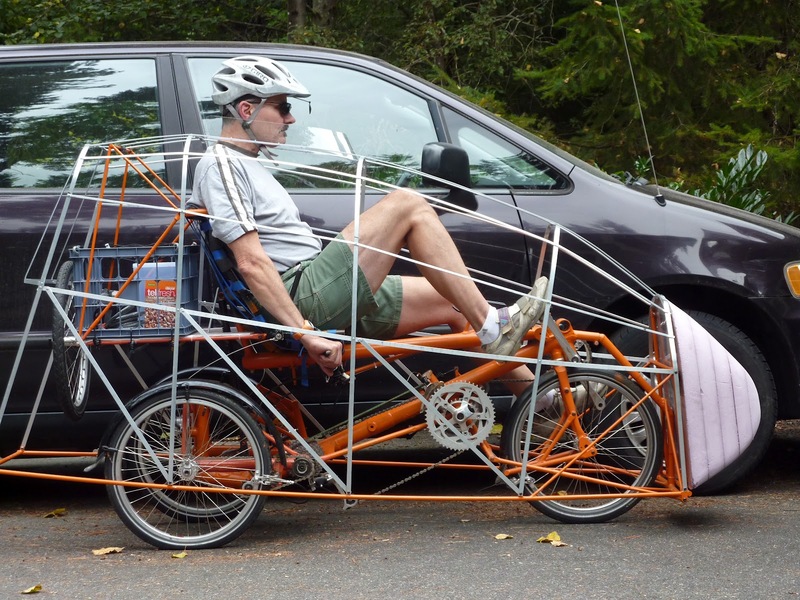 I have found this video and pictures on the Recumbent Bicycle Forum and later on Youtube. 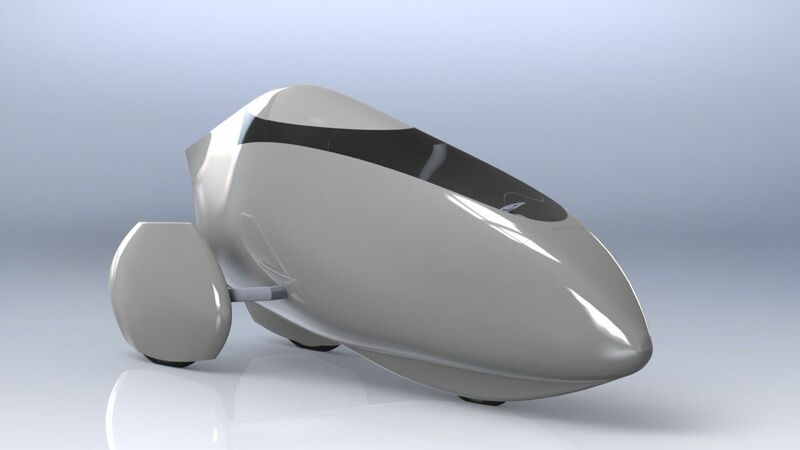 The main shell comes from the Varna Orpheus streamliner and was a bit changed to be wider and to accomodate the rear frame which alows the velomobile to tilt. 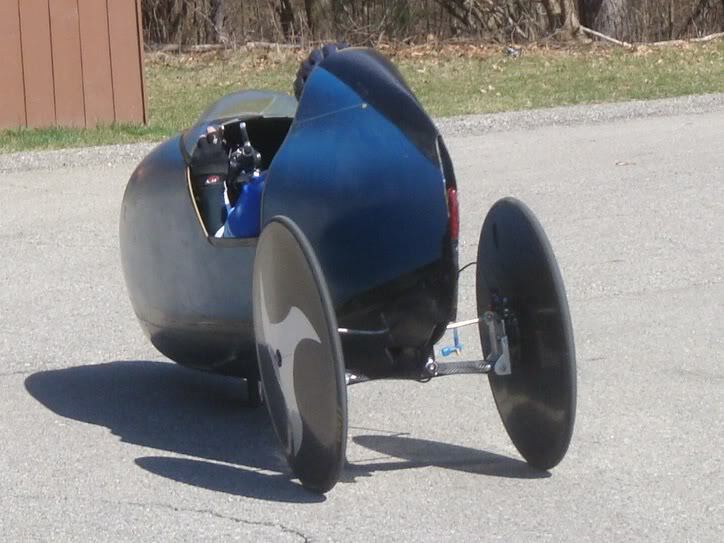 It is using 650 wheels. More info on the Youtube directly.